Today was Nelson Mandela’s Memorial Service in Johannesburg. I followed the service on TV and then went into London. Around South Africa House everyone was talking about Mandela. 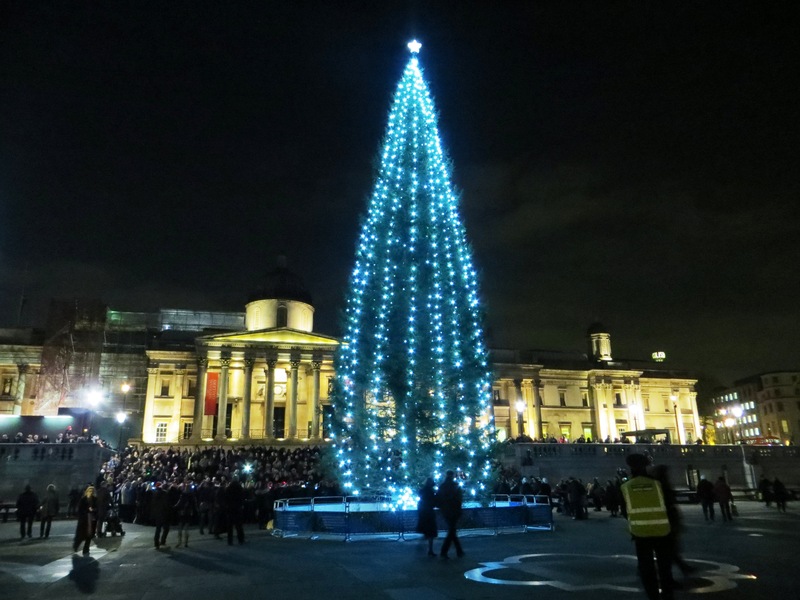 It was a disturbing day, and in the evening I found myself in Trafalgar Square again, listening to a choir singing Christmas Carols. I am pleased you like the image! Please send more visitors to my site! Thank you! And thank you for including my photograph on your site! Lovely picture… hope you are feeling less disturbed now.